"The Government must properly fund the National Living Wage before vulnerable people with learning disabilities are left without vital specialist support." The Government must properly fund the National Living Wage before vulnerable people with learning disabilities are left without vital specialist support. People with learning disabilities are among the most vulnerable in our society. They rely on specialist support providers like Hft. Without these services, there is a real risk to their continued wellbeing. For some the removal of these services would be truly tragic or life-threatening. We strongly believe in paying our staff more for their skills and expertise. And we fully support the introduction of the National Living Wage (NLW). But this compulsory increase is not being fully factored into the fees that we are being paid by Local Authorities the majority of which are still based on the National Minimum Wage. 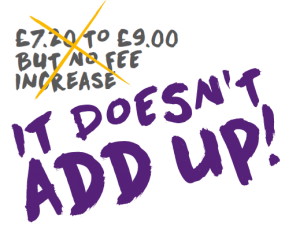 The biggest cost for a learning disability support provider like Hft is staff wages – 70-80% of our total costs. We’re funded by Local Authorities who, in order to make savings, have been steadily reducing the hourly rate they pay us over the last five years. The new National Living Wage must be covered in the fees paid by Local Authorities if organisations like Hft are to continue to provide this essential service. Paying the new National Living Wage added 7.5% to our wage bill in April 2016. And by April 2020, that bill will have risen by a further massive 25%, adding a third to our wage bill in just four years. We do not believe that the government has fully understood how serious this situation is. No realistic solution has been offered. We believe that without urgent action and funding for the National Living Wage, it is only a matter of time before there is a total inability to deliver this care. Research commissioned by Hft and carried out by the Cebr, a leading independent economics and business consultancy, examined the impact of financial pressures on the viability of the adult social care sector , with a specific focus on learning disabilities. The results indicated that based on current levels of service, an uplift of at least 5% is needed just to keep the industry breaking even. This issue is so critical to the care sector that we need to take action. We are asking you to act NOW to stop vulnerable people with learning disabilities from being left without the essential support they need. You can help us by writing to your local MP. How to find your MP: To find the name and address of your MP, visit: www.parliament.uk/mps-lords-and-offices/mps/ and enter your postcode. Alternatively, you can contact the House of Commons Enquiry Service on 020 7219 4272. 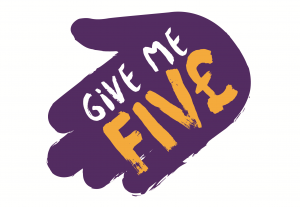 And don’t forget to use the #Giveme5 hashtag on social media to show your support. As a member of the VODG, and of Learning Disability Voices, Hft is working in partnership with representatives from other learning disability support organisations in campaigning for a properly funded National Living Wage. The VODG (Voluntary Organisations Disability Group), comprises of a group of over 80 leading voluntary sector and not-for-profit disability organisations that works on behalf of its members to influence and develop social care policy, build relationships with government and other key agencies, promote best practice, and keep members up-to-date on matters that have an effect on service delivery. Learning Disability Voices is a coalition of charities, not-for-profit and independent sector companies that provide learning disability services in the UK, and who together represent 20% of the total sector provision. The group was launched in response to the funding challenge that the introduction of the new National Living Wage represents, and exists to push for crucial policy changes to ensure a sustainable future for quality learning disability care. Download a copy of the Learning Disability Voices Care Crisis Manifesto.